Executive Vice President for Administration Joseph Garcia joined SUNY Empire State College in July 2017. His responsibilities include oversight of human resources, business affairs, information technology, facilities, financial aid, student accounts and collegewide project management. As chief financial officer, he is accountable for the college’s budget management. Garcia is also operations manager of the Research Foundation and the college’s Foundation treasurer. 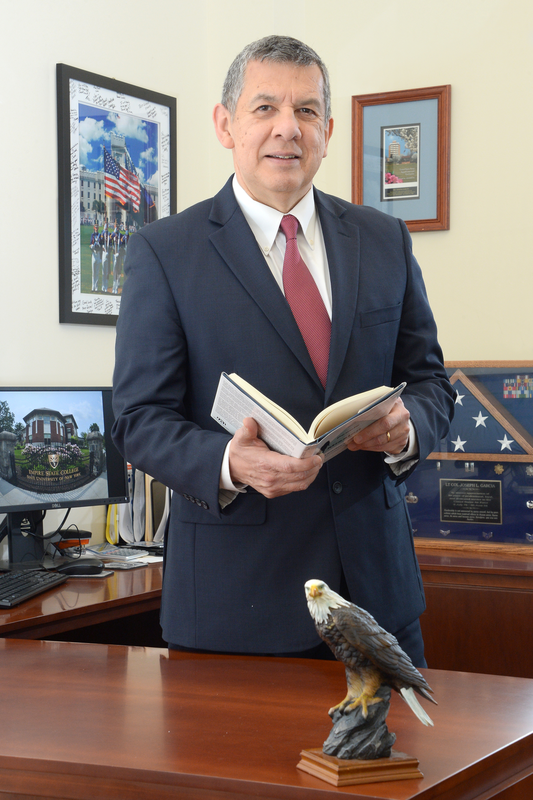 Prior to joining Empire State College, Garcia was vice president for finance and business/CFO at The Citadel, Military College of South Carolina. His previous experiences include three years in New Orleans, La. as CFO for FEMA’s Hurricane Katrina Gulf Coast Recovery Office; numerous years in the Washington, D.C. area as CFO for the Food Safety Inspection Service, a federal agency; and CFO for the Air Force Aid Society Headquarters. He also has been a business consultant for several private sector companies. Garcia also spent 28 years in the United States Air Force, including tours at the Pentagon, Air Force Academy, other stateside assignments, overseas tours in Germany and South Korea and a Middle East deployment. Starting as an enlisted person, he eventually retired at the rank of Lt. Colonel. In addition to his financial management background, Garcia especially enjoys all aspects of leadership development. He taught leadership courses at both the Air Force Academy and The Citadel and has authored three leadership books. Garcia also has a passion for serving others who are less fortunate. He served six years as board chair of Hagar USA, a nonprofit that supports victims of human rights abuses, including trafficking. Garcia is currently chair of another nonprofit board that provides support to those impacted by domestic violence abuse in Charleston, S.C. Among his notable awards are the Department of Homeland Security Superior Mission Achievement Award and Department of Defense Comptroller of the Year from the American Society of Military Comptrollers, as well as Male Boss of the Year from the Federal Women’s Program at Sheppard Air Force Base, Texas. Garcia earned an Executive Master’s in Leadership from Georgetown University, an MBA from the University of Central Oklahoma and a Bachelor of Science in Business Administration from the University of Arizona. He is also a certified Government Financial Manager.